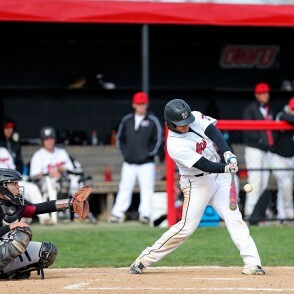 OWU Alumni have taken great pride in helping to provide first-class facilities for OWU student-athletes. 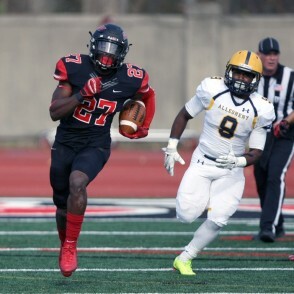 Whether for training, meeting, or competing, OWU's sports and fitness facilities uphold the great Bishop tradition. 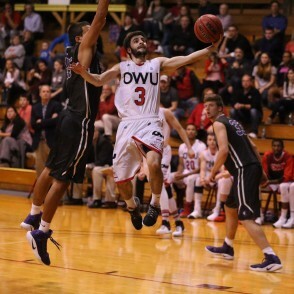 The Battling Bishop men’s basketball, women’s basketball, and volleyball teams play their home games in 1,450-seat Branch Rickey Arena, nestled in the middle of the Ohio Wesleyan campus. The Battling Bishop men’s and women’s track & field teams host outdoor meets on the George Gauthier Track, inside Selby Stadium on South Henry Street on the eastern edge of campus. 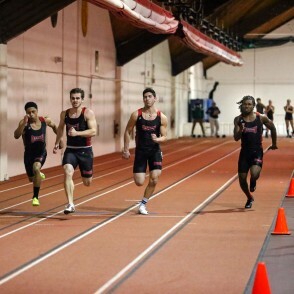 The Battling Bishop men’s and women’s track teams host indoor meets in the Gordon Field House, nestled in the middle of the Ohio Wesleyan campus. 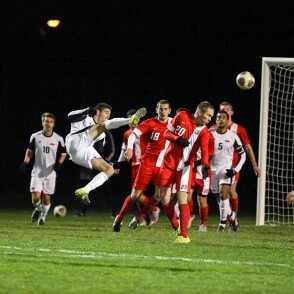 The Battling Bishop men’s and women’s soccer teams play their home games at the Jay Martin Soccer Complex, located on Park Avenue across from the Ohio Wesleyan residential campus. 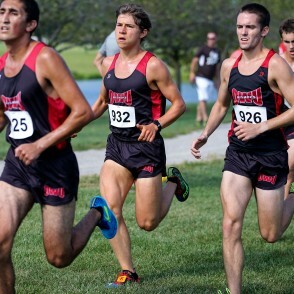 Ohio Wesleyan University has hosted cross country meets at Liberty Park since the 2009 season. The course is located on Home Road south of Delaware, approximately 6 miles south of Delaware and 8 miles south of the Ohio Wesleyan campus. The Battling Bishop baseball team plays its home games at Littick Field, located on South Henry Street on the southeastern corner of campus. 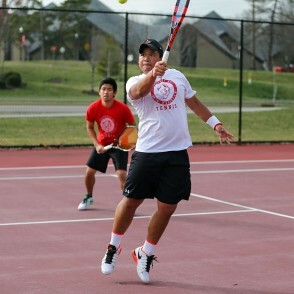 The Battling Bishop men’s and women’s tennis teams play their home matches at the Luttinger Family Tennis Center, located on South Henry Street on the southeastern corner of campus. 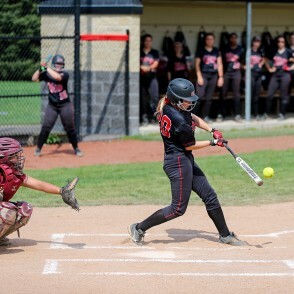 The Battling Bishop softball team plays its home games at Margaret Sagan Field, located on South Henry Street on the southeastern corner of campus. 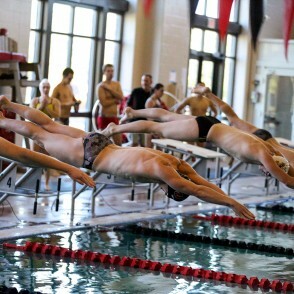 The Battling Bishop men’s and women’s swimming teams host their home meets at the Meek Aquatics and Recreation Center, located on South Henry Street on the southeastern corner of campus. Selby Stadium, boasting a 9,100-seat capacity, is located on South Henry Street on the eastern edge of campus, is the home of the Battling Bishop football, men’s and women’s track & field, men’s and women’s lacrosse, and field hockey teams. 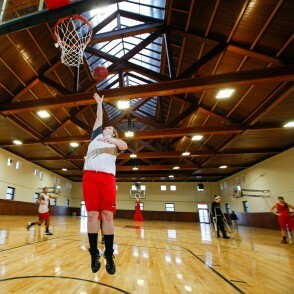 Edwards Gym boasts a second-floor basketball court with a large, custom skylight that makes it a bright spot for hooping it up with friends. You also might take to the court for a game of Futsal, badminton, or even dodgeball. The Morrill Family Strength & Conditioning Room, located on the ground floor of Edwards Gym, includes a large selection of free weights, racks, and plate-loaded strength machines. 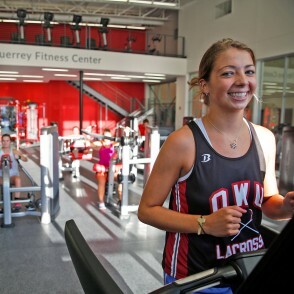 Ohio Wesleyan’s new fitness center is the perfect place to work out, helping you to energize your mind, body, and spirit.